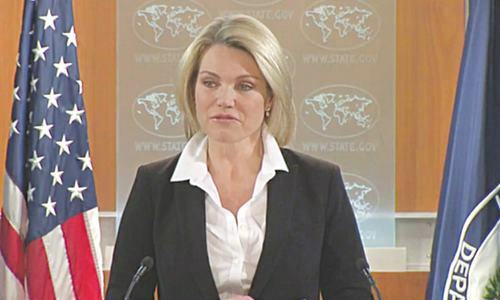 The United States has placed Pakistan on a special watch list "for severe violations of religious freedom", a press release by the US State Department said on Thursday. The move comes days after US President Donald Trump said Pakistan had given the US nothing but lies and deceit, despite Washington giving it more than $33 billion in aid. "In far too many places around the globe, people continue to be persecuted, unjustly prosecuted, or imprisoned for exercising their right to freedom of religion or belief," Thursday's release read. "Today, a number of governments infringe upon individuals’ ability to adapt, change, or renounce their religion or belief, worship in accordance with their religion or beliefs, or be free from coercion to practice a particular religion or belief." The statement also re-designated Burma, China, Eritrea, Iran, North Korea, Sudan, Saudi Arabia, Tajikistan, Turkmenistan, and Uzbekistan as "Countries of Particular Concern" — an annual practice according to the International Religious Freedom Act of 1998. Being on the watch list means Pakistan is a step away from being included in the "Countries of Particular Concern" list. The list includes "governments that have engaged in or tolerated systematic, ongoing, and egregious violations of religious freedom." When will be light at the end of tunnel? I don't think this is a fair judgment. We are making headlines in every aspects. Are they ever gonna leave us alone. That’s it! After all the hue and cry!!!!! We need to get used to such "gestures" by the US. It is America under the Trump Adminstration who should be put under surveillance due to their disappointing decisions of stopping Muslims from travelling to America. This is Donald Trump's era. There is no surprise in any surprise. US can do whatever it wants. But Pakistan government needs to wake up and smell the coffee now. Invest in the people and allow religious freedom so that US only looks foolish with this designation. we brought it upon ourselves. Will the U.S. State Dept include the U.S. government on this list for engaging in systematic, ongoing and egregious violations against Muslims in Trump's travel ban? We will have to pay for our misdeeds in the past. Truth is some of these things did happen. The end of The Tunnel Will Never See light. There is a total eclipse. Pakistan should immediately seize it's relations with US instead of getting insults every other day. Relations can be reviewed once US Regime is changed. So what US is going to do about all these countries. @Khalid Khan, USA (Originally From OCCUPIED KARACHI) occupied by who? Karachi is one of the most diverse communties in Pakistan. Haven't you learnt anything about diversity if indeed you are in the USA. Looks like the deportation of pakistanis is the next step. Who cares what list is used, there is no credibility in this. 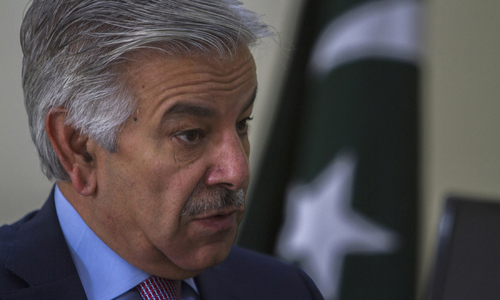 Pakistan places US on a special watch list for severe racial abuse against African Americans. US is one step away from being included in the countries with particular concern. @Wellwisher , every negative aspect. I dont think with current environment in US, they can be the judge of religious freedom. @Tanweer -- More to come, soon! @shubs : Good question ! This is just a trailer. The movie is yet to begin. There is probably a lot more coming ! Buckle up. I am sure no one cares about that list. USA can keep on developing a list of these funny lists! @Tanweer - That’s it! After all the hue and cry!!!!! Why do you think that is it? @Khalid Khan USA. No force on this earth can undo Pakistan! Thank you to Dr Abdus Salam. Can Pakistan ever change, even if it is in the interest of its own people? Okey, time to end all war related cooperation. No more!! @Mashm It does not matter what you think of yourself, what matters is what others think of you. Pakistan needs to charge for its three airfield on the basis of each landing and takeoff. we also need to charge the proper toll tax for NATO convoys. This is just the begining..many more lists to come! and who ended getting those 33 billion is a billion dollar question. Only if that money has been spent wisely the entire country would have flourished and every citizen would have reaped the benefits. Aut to have been included long back. Poor people of this country will become poorest and desperate ,nothing else will change. Elite of this country already have their families settled in Dubai, Europe , Canada or in Trump's country USA. But ironically that is how superpowers treat third world countries , target poor citizens and shelter elites. @citizen They are digging a hole right now so you will have to wait a millennia or two for any light from this bunch. Remember these are the same guys who went into Vietnam after the French had lost and left in a hurry and have gone into Afghanistan after the Brits and the Soviets had a nightmarish experience there. 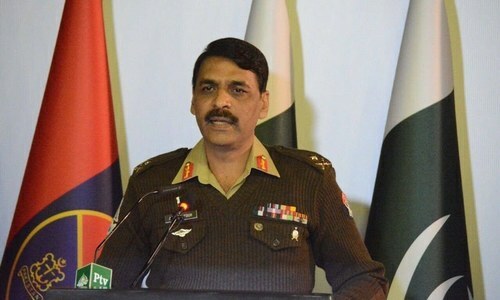 Pakistan made a strategic mistake fighting other peoples wars. Good to be on the watch list. Opportunity to improve ourselves. Fair thing. Don't know why it took so long. Freedom should be available for everyone and just not a protected property of majorities. Let them do these things to pakistan, so that pakistani administrative might know that america is not a friend and will never br loyal to pakistan.. So pakistan should kill their demands and keep doing her own bussiness. This is indeed a bad time for Pakistan. time for our nation to come together, introspect and reform.